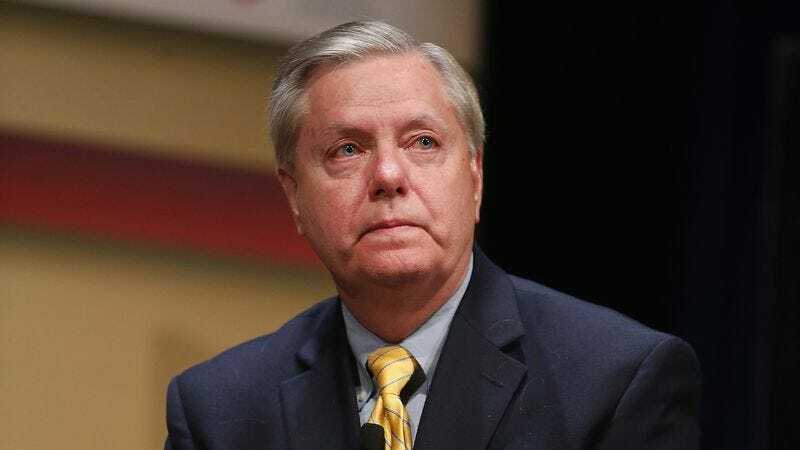 IOWA CITY, IA—Just minutes before taking the stage for a town hall event Friday, Republican presidential candidate Lindsey Graham reportedly chastised himself upon realizing he had left the CD-R containing his campaign song in his room at the Red Roof Inn. “Darn it, I even put it on the bedside table so I wouldn’t miss it when I was getting dressed to leave,” said Graham, who was hopeful that housekeeping would place the CD-R in the lost and found since he had written “Lindsey’s Campaign Song” on the disc with a black felt-tip marker. “There’s no time to head back now. Shoot, I can picture it sitting there, right next to the little cardboard envelope with the second keycard in it. Now I’ll have to get my sister to burn another CD for me.” At press time, Graham reportedly walked out onto the stage to complete silence.